Find the newest Kelvin Grove homes for sale in Calgary! Established as a neighborhood back in 1960, this community was designed to accommodate all individuals belonging to the lower, middle and upper classes with its mixture of modest to sophisticated housing units. Along with its attractive blend of old-fashioned to modernized dwellings, Kelvin Grove’s appeal to its current residents lies within its favored location at the comparatively peaceful area in Calgary's south zone. Kelvin Grove housing market statistics: As of April 25, 2019 there are currently 12 properties for sale in Kelvin Grove listed as active, with an average asking price of $623,583. The highest-priced property is $1,999,999; the lowest priced property can be purchased for $169,500. Kelvin Grove neighbourhood listings have an average price of $353 per square foot, based on listings with 2.9 bedrooms, 2.5 baths, and 1,602 square feet of living space. 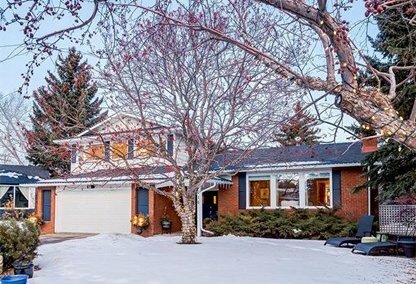 Looking to sell or buy a home in Kelvin Grove Calgary? Call Justin Havre at RE/MAX First - 403.217.0003, your neighbourhood Calgary real estate team. We are Kelvin Grove real estate agents and experts on the Kelvin Grove housing market in Calgary. The fact that the picturesque residential community of Kelvin Grove shines with architecturally praise-worthy houses, as well as an aesthetically charming layout of dwellings, can be accredited to major urbanization taking place during the 1950’s and 1970’s. Following the significant urban developments was a smaller wave of dwellings constructed during the succeeding decades, which basically gave the neighbourhood a “facelift” with the help of trendier abodes. Today, more than three-fifths of all properties fall under the single-detached house format. The second largest group of abodes (three-tenths) belong to the apartment category, while the remainder of homes for sale are comprised of row houses and semi-detached homes. Inhabitants of Kelvin Grove are further benefited with a diversity of neighbourhood amenities on compound or within close proximity. Children of this community attend one of two public schools, Henry Wise Wood Senior High and Chinook Park Bilingual Elementary, or go to a number of other educational institutions a short walk or drive away from their homes. In addition, parents will be pleased to know that the Rockyview General Hospital is located half a kilometer to the west of Kelvin Grove real estate - a distance that’s practically walkable. Recreational activities are only minutes away from the neighbourhood as the Glenmore Reservoir, Weaslehead Flats, and Heritage Park are located close-by. These places offer an assortment of outlets (boating, jogging, picnicking, etc.) for home buyers to enjoy. Alternatively, Kelvin Grove residents gain convenient access to the downtown area by heading over to East of 14th Street, a place where home owners can travel through the LRT system or a range of major roadways leading to the city. 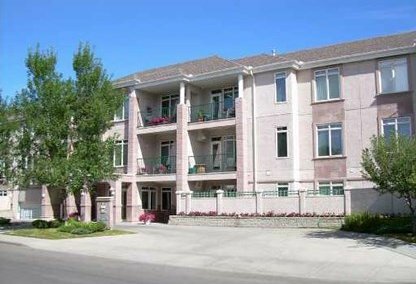 Planning to buy or sell a home in Kelvin Grove Calgary? Let our real estate team guide you in your search for the perfect home and professionally facilitate the sale of your existing home. As Kelvin Grove neighbourhood real estate agents, we know how to navigate the Kelvin Grove real estate market. Let's get your home sold quickly and at the highest price! Contact Justin Havre at RE/MAX First - 403.217.0003 to find out more about buyer or seller representation. Thinking of selling your Kelvin Grove home? Check out our free property evaluation tool, where you can easily view Calgary Homes Values online in moments!